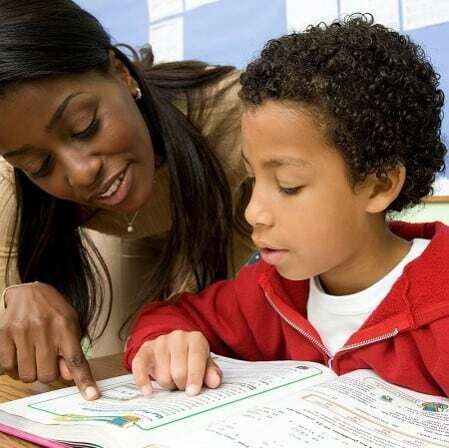 Math-A-Matics Tutoring is proud to offer our Online Tutoring & Math Homework Help program in the Houston area. Much like our in-home tutoring in-person services, we provide clients the same individually tailored academic support but by means of a secure web conferencing/meeting software which allows us to set up online meeting rooms with a whiteboard, voice/video conferencing and desktop sharing. Our online math tutors in Houston and students are able to see and hear each other, automatically save recordings of the session, print all session notes, and upload and simultaneously work on documents just as if they were sitting side by side and writing on the same paper. Contact us via our Online Contact Form, by email, or by phone. We will contact the client via email or phone within 1 business day to find out how we can help them “Catch Up, Keep Up, and Get Ahead! We will schedule a Free In-Home or Online Consultation to meet with you and your student to discuss our services, get to know each other, and set goals and targets for tutoring. Upon client selection of a Payment Plan, we will set up parent and students’ online account and send out a link for parents and students to set their online login password for in-home tutoring scheduling, tutor selection, invoice and payments, and to review notes from each session. Student or parent schedules lessons online and a tutor will confirm. Upon scheduling, we will ship a Pen & Touch Small Tablet to the student. On receipt of the tablet, the student will set up the tablet with their PC or Mac. We will send the student a link to their online tutoring conference room and password. The student will log in and meet the tutor in the Math-A-Matics Tutoring GroupWorld conference room and tutoring will begin! At the completion of each session, tutors will fill out a document that summarizes the session so parents can keep track of the student’s progress. Our online math tutoring and homework help service in Houston uses a pen and touch tablet that we provide free of charge as part of our online math tutoring program. One of the largest frustrations that arise with online tutoring is trying to write math with a mouse and or typing it out. The tablet used allows students to write math by hand just as they do in class, on a test, and at home doing homework. Between our experienced instructors and our state of the art software, our online tutors can effectively help students in Houston with math homework and test studying.